Tapestry weave of dyed wool and undyed linen, plain (tabby) ground weave of undyed linen, H. 29 cm; W. 31.5 cm. Egypt, ca. 5th–7th century CE. The Metropolitan Museum of Art, Purchase by subscription, 1889 (89.18.242). 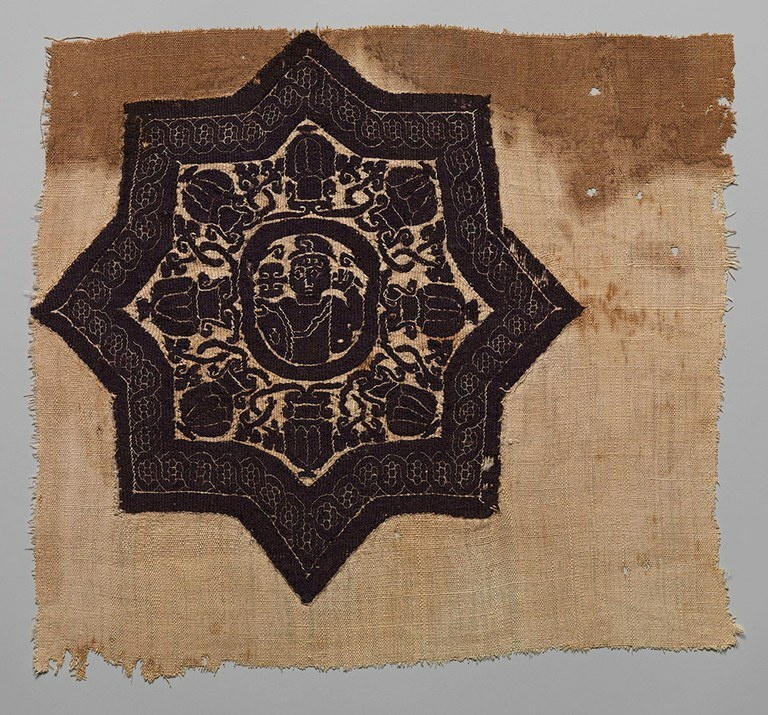 In the decoration of tunics and mantles, images of male virtue drew from the expected motifs of courage and bravery, including the hunt—a common subject on men’s garments—and those associated with strength and courage, such as the image of a warrior featured in the center of this textile fragment.